Join us on May 22nd for a Session of learning how a new generation of “retiring” executives are preparing for their next seasons after intense careers at the helms of their organizations. My Next Season Senior Advisor Vicki Escarra and Co-Founder Dr. Leslie Braksick will share what companies and individuals are doing to prepare for their next act; lessons learned and best practices in the words of the executives; and how you can prepare for this important and often-fragile transition. It’s never too early to start. Senior Advisor, Vicki Escarra, has enjoyed an uncommonly diverse executive career in both the for-profit and not-for-profit sectors spanning four decades. At Delta Airlines, Vicki rose through the ranks over 30 years, learning the industry from airports to call centers, becoming the highest-ranking woman in aviation. She oversaw $15B revenue and 52,000 employees as Chief Marketing Officer and EVP of Customer Service. As Global CEO of the microfinance charity Opportunity International, she led 20,000 staff and 30,000 donors to help 17 million clients in 22 countries rise from poverty and strengthen their families and communities. Similarly, as President/ CEO of the premier food bank Feeding America, Vicki led a reorganization that advanced public recognition from 13% to 85%, increased donations 300%, and doubled the population served to make Feeding America the nation’s third-largest nonprofit. Vicki is a civic leader, exemplified by her chairmanship of the Atlanta Convention and Visitors Bureau and board service, including DocuSign Advisory, Centene, HealthNet, A.G. Edwards, Roosevelt University, Emory University, Committee of 200, Sesame Workshop, The Chicago Network, and The Economic Club of Chicago. Today, Vicki is committed to transitioning leaders as a Senior Advisor with My Next Season and Boston Consulting Group. She lives in Chicago and has two adult daughters. Dr. Leslie Braksick spent nearly three decades advising executives and companies on matters of leadership, succession, and strategy execution. During that time, she had a front row seat to many types of career transitions and saw a gap in both the content and delivery of available support. She co-founded My Next Season to provide a bridge for executives as they navigate important transitions in their careers and lives and to ensure that these executives transition and land well. 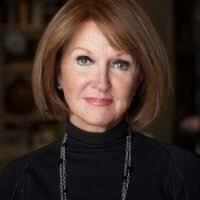 Previously, she co-founded a management consulting firm, CLG, a company she led as its Chairman, President/ CEO. 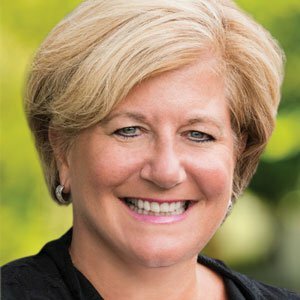 Leslie is an entrepreneur and well-known expert on subjects including executive succession/ transition and transforming performance by focusing on behavior and leading through change. A prolific business writer, she recently co-authored the company’s first book, Your Next Season: Advice for Executives on Transitioning from Intense Careers to Fulfilling Next Seasons. This ground-breaking book provides unvarnished advice from hundreds of interviews with retired executives. Her other books include Preparing CEOs for Success: What I Wish I Knew (2010) and her first book, Unlock Behavior, Unleash Profits: Developing Leadership Behavior That Drives Profitability in Your Organization (McGraw-Hill, 2nd edition, 2007), which made The Wall Street Journal’s Business Best Seller list. Leslie currently serves on the boards of Princeton Theological Seminary and Children’s Hospital of Pittsburgh. Leslie and her husband, Matt have two adult children and live in a suburb of Pittsburgh. My Next Season was co-founded with the vision for changing the paradigm of how companies transition their executives, regardless of the catalyst for the exit. Increasingly, transitions occur as part of a company talent management strategy and happen earlier than most executives anticipate or prefer. In addition, how executives exit the company impacts those who remain. My Next Season’s white-glove, highly individualized, caring approach is sought by companies who want to demonstrate respect for their colleagues by enabling them to discern what they want to do next and navigate this often-fragile transition well.